A few years ago I made a quilt as a gift for my daughters friend who was married in October. I loved the fabrics in that quilt so much, that I squirreled away any bits of the fabric for a later project. We've had a week of cooler weather here in the deep south, which made me once again think of this fabric. It's hard to see in the picture, but each fabric has rich tones, some with golden threads running through. Yes, a simple pattern, but I think the fabrics add to the Fall flavor. My heart goes out to the families who lost loved ones in the aftermath of Hurricane Sandy. It will take time to fully recover from Sandy's fury. The weeks and months ahead will be grueling and back breaking. Here in Florida we still see blue tarps on roofs from previous hurricane damage. Life goes on, but a disaster such as this brings us to the reality of what is really important in life. Hug your family, friends and neighbors. We can never be certain that we will have tomorrow. I may not know what the future holds, but I know Who holds the future. I've been fooling around with the Shop Hop leaf blocks. I never had enough fabric to make the whole quilt, so I thought I would go with a different approach. I made the two blocks and used some of the fabric from the other blocks to make up a table runner. My first thought was to square up the block, but in the end decided that it made it too large, and I just didn't like where this was going. The leaf blocks are large (12 1/2" square) so I cut 2 1/2" strips and made this block for the center. And YAY it all fit! I added a small border but it just was not working, so I ripped it out. So the next step is the quilting. Hopefully I can get it ready to use over the Thanksgiving holiday. merging with mid-latitude fronts, etc. about Cat 5 winds (max sustained for Sandy is now about 85 mph vs.
a LOT of people that will be affected. slower the system moves the worse the flooding will be. for the track) will evolve over the next several days. 10's of millions of people and numerous business, cities, and states. PLEASE WARN ANYONE YOU KNOW IN THE PREDICTED IMPACT AREA TO TAKE THIS STORM SERIOUSLY. Hope for the best; prepare for the worst! Praying everyone will be safe. These storms are not something to fool around with. Take care. 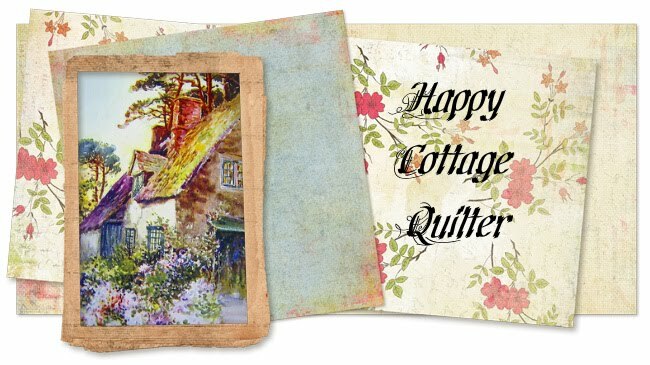 Amy's Creative Side is once again hosting the Bloggers Quilt Festival. You see so many beautiful quilts and meet the creative force behind their blogs. My quilt for this years Bloggers Quilt Festival is "O Tannenbaum". All ready for the upcoming Christmas season. The "O Tannenbaum" Wall Hanging measures 24" x 44". The machine quilting was done on my domestic sewing machine. Finished quilt measures : 24" x 44"
If you are visiting for the first time from the Blogger's Quilt Festival, Welcome!! I love to meet new people. Please leave a comment so I can visit you as well. I hope you will come back again soon! My BFF came to visit for a few days last week. We always have a great time together and usually share an adventure or two. As we drove down to Sarasota to meet up with her parents, we stopped in a Quilt shop that had moved close to the Interstate. It was kind of sad to see that this shop had about 1/3 less fabric then the last time I visited. The fabric lines were very modern. Being a mostly traditional quilter, I didn't find anything that peeked my interest. But still it's fun to stop and enjoy the samples. Gleaning ideas is never a boring trip. ....... you have to make your own seasons. We don't have the change of seasons as most of you experience, so we make our own!! This block is from a shop hop I did several years ago. I never made the Fall blocks or the quilt, but the cooler temps persuaded me to dig them out. The block is 12 1/2 x 12 1/2. There are two blocks this size, so I was thinking maybe a table runner, with the leaf at each end, would compliment these blocks. Anyone have a pattern suggestion or a link to find something that would work? Here it is again. The pinwheel quilt, made from the leftover pinwheels from my Chevron Quilt. I decided to add a couple more rows of pinwheels and the red border. It will make a perfect child sized quilt for charity. I really do like the way it turned out. There are so many different aspects to crafting. I think we all need some kind of creative outlet. Whether we are good at something, or just enjoy the process. Are you a sensitive person? Do you notice fine scents, sounds, tastes or works of art? I tend to notice sensory changes. For so many years I would stuff it down, and try to conform to what everyone else was doing. When I recently read an article on how crafting can actually advance healthy living along with joy and creative satisfaction, I stopped to ponder about this. Whether it is cooking, gardening, knitting or sewing, crafts have become a proven way to bring sanity and calmness in a sometimes hectic world. You see apparently the brain cannot dwell on stress when it is engaged by the repetitive movement of your chosen craft. Sometimes you come up with a solution to a problem when you give your brain a break. So is that the reason we should cook, garden, knit, or quilt?? No I think the reason is that we enjoy it. And in turn that becomes our "therapy". Crafting makes us happy, and we can also make other people happy, by making gifts for our family, friends and charity. To find out if you are a highly senstive person, you can do the self test at this website Highly Sensitive Person. I found this self test on Hooked on Houses blog. Over the weekend I put together the extra blocks and made this little Pinwheel quilt. Yes I love boring Pinwheels too. And these went together so well. I have not quite decided if I want to add another border. It is only a table topper size, so I think adding one more border, maybe in red, would give it a little more dimension. And I also came across these 4 1/2" floral blocks and put them together as well. It's not very big. But it would make a cute doll quilt. I ran out of blue and pink fabric, so I'm digging through the stash to see if I have anything that would frame this little quilt. What did you work on this weekend?? Here it is!! The Chevron quilt put together. I think this type of quilt will look better without a border. So now I have a question for YOU. I had many HST left over, enough to probably make a little baby type quilt. Here is what I would normally do with HST's. Nice boring Pinwheel. But what happens if we cut the HST again. Here are the possibilities. So what do you think?? Which block design (whirlagig or ribbon) and color (scrappy or solid) would you vote for?? Have you seen THIS post?? What a great way to support charities. I have some partially completed tops, and orphan fabric that I will be packaging up and sending out to Margaret's Hope Chest. How about you? Can you lend a hand?? I recently watched a Youtube on making a Chevron quilt. The demo was using a Layer Cake, but I thought I would try to make my own with 6" squares. I picked out an assortment of fabrics. Plus white background fabric. Cut 6" strips and then again into 6" squares. Pair up a white square with one of the color fabric squares. Sew all the way around. With your trusty rotary, cut the sewn square in an X. Press your seams to the dark fabric. Line up the Chevrons and start sewing the blocks together. I will work on these blocks and see how large this quilt will turn out. I cut two yards of white background, and various amounts of the red and blue. This looked like an easy and fun quilt to put together. I'll let you know how it turns out. Finishing this quilt top was such a delight. Even piecing the borders was a fun addition. I really love how this Scrappy neighborhood turned out. There is a little guy peeking from this window! The original pattern is larger, but mine turned out to be about a twin size. woo-hoo, Welcome to the Neighborhood! Happy Quilting! I've been feeling a tad under the weather the last couple of days. So there has not been much sewing or creating going on here. But to whet your Fall appetite, I thought I would share some of my fall quilts.